A 39-year-old rural Mountain Home man was arrested on election day after he allegedly made more than 40 calls to CNN headquarters, some of which included death threats against CNN anchor Don Lemon. 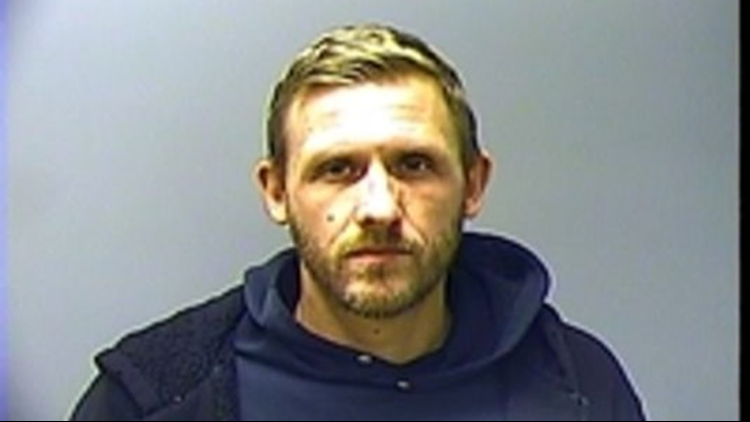 Benjamin Craig Matthews was arrested on five felony counts of terroristic threatening, nine misdemeanor counts of harassing communications and four misdemeanor counts of second-degree terroristic threatening. He was held in the Baxter County jail in lieu of a $15,000 bond. Authorities in Atlanta say the calls to CNN began on Oct. 31. Matthews allegedly made three calls to the network that day. In one of the calls, Matthews reportedly threatened to beat up Lemon in one of the calls. During another that day, Matthews was reportedly verbally abusive with an operator. The next day, Matthews is accused of calling the network six times in the span of 23 minutes. During one of the calls Matthews reportedly asked to be directed to Lemon's "dead body hanging from a tree." One Nov. 2, the next, Matthews is accused of placing another six calls to the network during another 23-minute time span. In three of those calls, Matthews is accused of asking his calls be directed to "pipe bombs for Don Lemon." An Atlanta Police Department investigator assigned to the Department of Homeland Security was able to track the phone and reportedly learn it belongs to Matthews. The investigator, M.J. Condland then contacted authorities with the Baxter County Sheriff's Office. Brad Hurst, an investigator with the BCSO took the case and spoke with an individual who knows the voice of Matthews, according to an affidavit filed in the case. That individual reportedly identified Matthews' voice in recordings CNN made of the phone calls. During Condland's investigation of the incident, he reportedly discovered Matthews had made calls to U.S. Rep. Maxine Waters, U.S. Senator Chuck Schumer, attorney Michael Avenatti, the Washington Speakers Bureau and Planned Parenthood. The four felony counts of terroristic threatening Matthews faces are Class D felonies punishable by up to six years each in prison upon conviction.